As you know, I love anything to do with art, especially the community surrounding it. One of the main sources I've used to interact with other like minded individuals over the years has been online gaming and playing free MMORPGs. There have been a few that really stuck with me, and I found many close friends and good experiences through these sites. The following MMORPG / MMOSG games are completely free to use and they have a great emphasis on art, either through direct game play or a dedicated flock of talented fan artists. They all come highly recommended if you're searching for huge online communities of artsy fartsy free spirit types. Plus, these games are just fun to play! 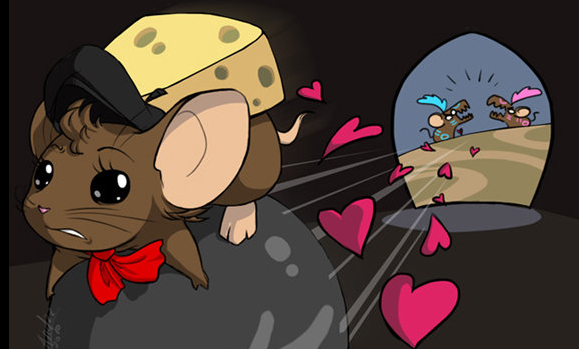 Transformice is a great up and coming online multiplayer game where you play as a mouse trying to get cheese to the hole first. Seems simple, but its a lot trickier than you think! I consider this an artsy fartsy game because the concept is certainly offbeat. You have to build hilariously unstable bridges, use crazy mouse-made contraptions, and you get to dress up your mouse sprite in a ridiculous outfits, too. Because of its quirkiness, it seems to attract the artistic minds like a magnet. The game is only a little more than a year old and already has several servers in different languages and tens of thousands 5.5 million players. I truly believe this game is going to really blow up soon, if you know what I mean. It already has a great following and a growing collection of charming fan art done by professional and amateur alike. The game's community is colorful, to say the least. It's an eclectic mix of kids and young adults, sprinkled with a ton of good ol' fashioned mousey profanity. Besides frequent updates, they also do great holiday events giving you the opportunity to get exclusive items and play mini games for limited amounts of time. These events often lead to exciting game-wide pandemonium including random snowball fights, flying on broomsticks and being shot by cupid mice. Status: Free to play as much as you want. When this game is downloaded to your desktop (dont worry, its light weight) it unleashes a hugely detailed, beautiful fantasy 2D world to your fingertips. It's like you're transported to a massive and complex city of anthropomorphic creatures including weirdly interesting horses, cats, dragons and even odd ferret things. They have self proclaimed themselves as the oldest "MMO" (mass multiplayer online) and they have a very established and active community to prove it. Status: Free to play as much as you want. Fancy (and tempting) add-ons that cost extra. 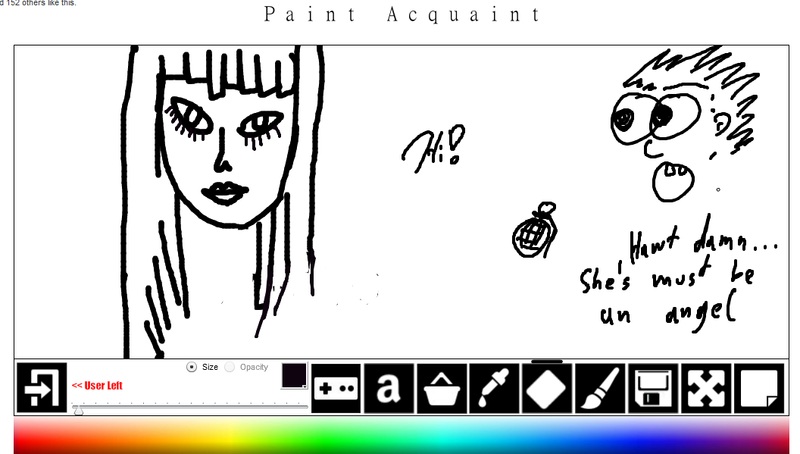 Groupboard isn't really a game, but more of a online whiteboard that people can draw on simultaneously. 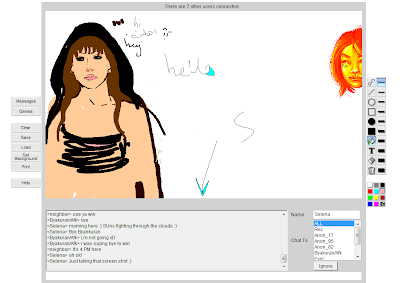 It's very similar to paintchat, but it's less demanding on your computer and doesn't have as many "special effects." It strips you down to bare necessities, and sometimes it's impressive to see what kind of work artists can do without any fancy tools. The groupboard community used to be a lot more active, but lately it seems to be an obscure treat that is fun to play around with every now and then. There are dedicated groupboard sites out there with talented graphic artists, but it would take some work to find them. If you do happen to find a secluded group, you'll really be in for a pleasant surprise. I've forged quite a few friends through groupboards, including Natasha and Courtney who I also mentioned in this blog. Groupboard is now dominated mainly by the Graffiti artist crowd. There are tons of websites with groupboards dedicated to writing graffiti. These guys are serious artists, it's really cool quickly watching them scrawl out their geometrically complex tags...just check it out for yourself. The link goes to a list of currently active groupboards, which is probably the best way to utilize this game. Isketch is similar to groupboard, but it's a more structured game and people take turns drawing. It's basically Pictionary online, but it's easy to get addicted! The game is available in 20 different languages and tons of different game categories and difficulties. They also have non-game rooms where users can take turns freestyle drawing on the canvas and just casually chat with other members. Honestly, I used the standalone chat rooms just as much as I played the actual game! If you have a tablet and you're looking to practice your object sketching skills, this is the place to do it. 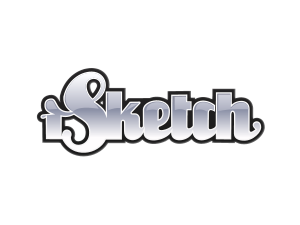 Not only will you have to speed sketch, but you get instant feedback from the other players on if your drawings or coherent or not. The free drawing rooms also have a pretty cool group of regular artists that love showing off their skills. They worship the most talented users. The community is kind of the crazy, I'm not going to lie. It's nearly impossible to get banned from this game as there is very few administrators, leaving this game to be truly one of the "wild wests" of the internet. However, there is a voting system, and if you cheat on the game the room will not hesitate to strike you down! If you can withstand a little bit of the "crude and rude," this place can really grow on you. 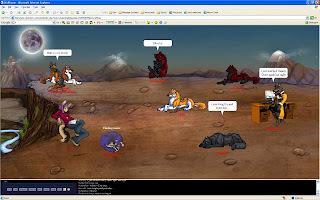 Wolfhome is as old as Furcadia, and probably has just as many furres, too. This place is great if you love drawing wolves and felines. You are in a graphical chat with a changable avatar of an animal, either a wolf, fox, dingo, bat, tiger or other creatures.. I don't know all of them for sure because when I went to this chat only wolves were allowed! Over the years its been insanely popular at points and almost dropped off into obscurity at other times, but its resilience shows that there is a solid core community that won't abandon this place. The most exciting thing about this game is it's "customizable poses," or the avatars that represent you during chat. You can submit your own poses or commission other artists to draw one for you. I think this is probably one of the few places out there that's still buying works of art! If you're talented, you can definitely make a little bit of cash here. Or, maybe just enough to support your "Wolfhome Habit." 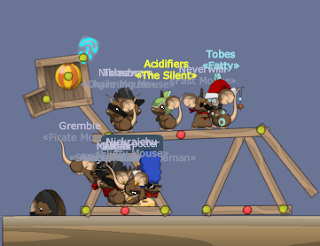 Like Furcadia, Wolfhome is really dedicated and helpful to new comers, and has a huge supply of very talented individuals driving the community. 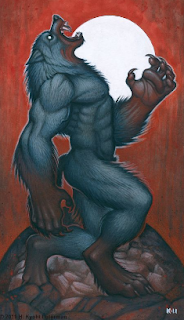 Some of the co founders, Goldenwolf and Kyoht, are incredible artists. I will admit I spent hours drooling over their fantastic art sites, just amazed by their sheer amount of talent and dedication. Because of the huge expense it is to run this site, it has become more subscription based than it was in the past. This game is completely free to use and chat on, but you have limited rooms you can go to and you can't have any customized poses. To pay for Wolfhome is very easy and cheap, however, as you're able to buy "Delta Credits" and spend literally a few cents a day to play. Just try it out for free first, you'll be pleasantly surprised by this artsty fartsy community. Also, apparently they've started a "cats only" Wolfhome, called Cats Paw Island. Be a pioneer and try it for yourself, I have no idea what it's like. Status: Free to play as much as you want but subscribers get many more desirable features. A new game has emerged. Introducing.. Paint Acquaint! "I was wondering if you could promote this drawing website I made. It's kind of like chatroulette or omegle in the sense it pairs up people 1-on-1 to draw with but there's no camera or chat. I made the site originally to kill time during lecture. It kinda stinks cause there isn't too much activity on the site yet :("
Well, sir, I for one think you have a really cool idea. To me it comes across as a mix of Chatroulette and Groupboard. I checked it out and this idea really has potential, and enough people using it to enjoy it from time to time. I'm really excited to see how it ends up... good luck Paint Acquaint! Status: Free to play... give it a try.